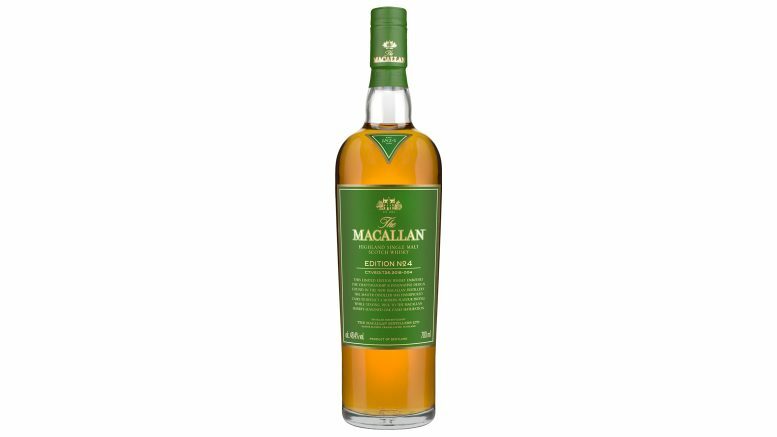 The fourth release in this innovative annual Series, Edition No.4 embodies the craftsmanship and pioneering design of the new Macallan Distillery and demonstrates the mastery of whisky making since 1824. As we enter an exciting new era, this limited edition marks the coming together of our history and new horizons in the creation of two structural masterpieces: a remarkable whisky and a magnificent new distillery. Like preceding releases, transparency prevails in Edition No.4 as it continues to explore our approach to whisky making, showcasing the skills of our whisky makers and revealing the specific role of oak casks in the creation of the Macallan. With each cask bringing different dimensions and imparting its own influence, this single malt delivers surprising aromas and character. Crafted from a combination of European and American oak casks, Edition No.4 presents a zesty, vibrant and invigorating single malt of rounded honey, sweet toffee and citrus fruits. This is a distinctive whisky that pushes the boundaries of our innovation, reflecting the passion, traditions and craftsmanship that goes into the art of the perfect cask selection.